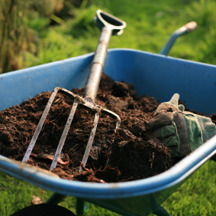 It’s that time of year and homeowners are knee deep in their mulching piles. 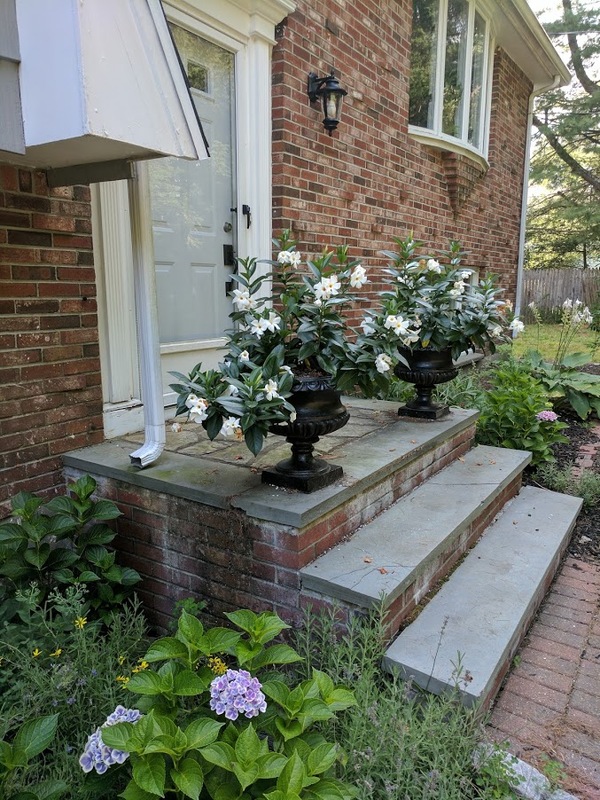 I know this part of our annual landscaping chores is not one of our favorites but there’s no denying the effect of this finisher around driveways, flowerbeds and backyard paths. For a relatively cheap cost, we’re able to create a picture worthy display that will make the perfect summer Eden for you and your family. So why do we crab about mulch? Because it’s heavy! Those wood shavings weigh a ton after the first three wheel barrels and maybe we don’t readily excite about the tube of Bengay we’ll need to smooth out the sores. But here’s something you might not realize…. There are several tips that will keep you safe from tearing muscles or breaking your back! 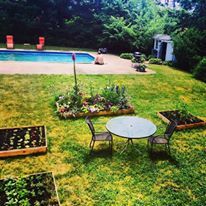 Professional gardeners and landscapers possess the inside knowledge to keep you well exercised but unharmed from this grueling job. Not only will you evade a trip to the ER but you might even see positive changes for conditioning your body including sculpted legs and arms. 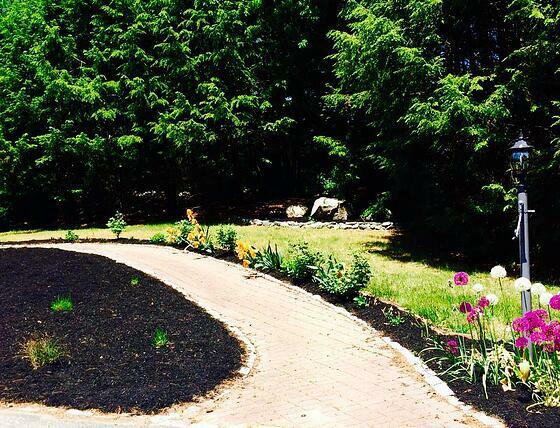 See if what the experts say might assist you this spring while you shovel your yard to beauty! Stretching before you begin to mulch the yard. If you start to feel intense pulling in your lower back-stop! This is your body’s way of telling you to take a break before any further damage can occur. After all, the mulch isn’t going anywhere so rest when you need to! I walked outside this morning and felt the warmth of the sun that is steadily indicating the summer growing season is near. 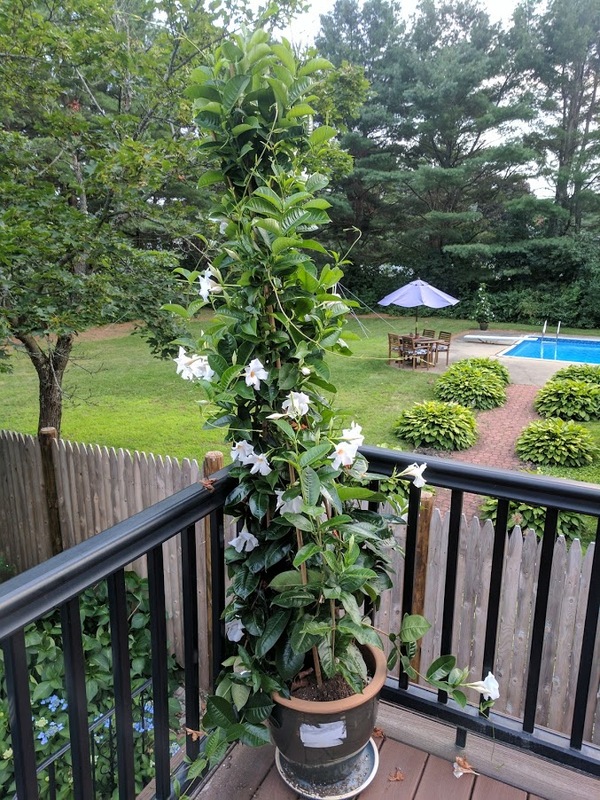 New Englanders understand this elation all to well since we patiently wait through six months of chilly weather until we can be reunited with our gardens. It doesn’t seem fair that states such as Texas, Florida and California can pretty much tend to crops almost the entire year while we have to suffer the harshness of annual blustery winters. We northerners have managed to come up with a trick or two when it comes to stretching our growing period. Professionals within the agricultural industry have passed on a few tips including the manipulation of imperative essentials such as temperature, fertilization, zone guidelines and light distribution. It seems really complicating but by adding a few alterations to your anticipated gardening plans, you’ll be able to jumpstart your green thumbs at little extra cost. Starting your seeds inside before the suggested date can not only add months to your hobby but also strengthen the specimen allowing it to become hardier and more resistant to environmental changes. You can place seeds in special indoor pots sold by Home Depot and Lowes or simply use an empty egg carton. Once the soil and seed have been prepared, place near a window with maximum sunlight. If you’re worried about cold drafts, place a clear sheet of saran wrap over the containers, which will create a greenhouse effect. Perfect starter seeds include peas, cucumbers, marigolds and tomatoes. If you have taken the leap and planted your goodies prior to recommended planting season, hopefully you have put them in a raised bed since the soil will warm faster than the earth beneath the ground. Keep a steady eye on the weather forecast and if a frost pops up as a possibility, cover your plants with heavy plastic or tarp. If the area is nestled within trees or a heavily shrub area, you might even be able to get away with laying newspaper on top, which will also keep them warmer. Now that we’ve talked about the preseason, how about we come up with something for the post season? Pruning can add extra time to your favorite flowers once the fall threatens to retract their beauty. Keeping the stocks strong can be done simply by taking off the dead heads of past blooms and shortening the length of the stem. Water continuously and don’t forget to protect with a layer of plastic if the cold begins to creep in! The other day I was thumbing through some books in the children’s department of our local public library. As I was making my selections of Mo Willems and Eileen Christelow, the door to the story time room opened and a dozen or so smiling six year olds piled out holding their crafts of pea pod seeds planted in a Dixie cups. 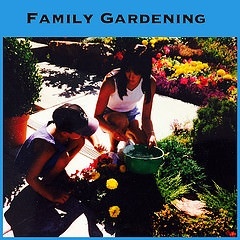 Parents greeted their kids with “Wow, what did you make?” salutations and with heart felt appreciation, thanked the librarian who read books about gardens and then proceeded to teach the enthusiastic group how to grow their own. Taken in by the pleasant commotion, I glanced over at the gleeful scene grinning at the fact that our library resources maintain the ability to not only encourage literacy and enrichment education programs but also provide the push for creativity. That’s when I saw her, a little girl still standing inside the reading area, holding her cup and by the looks of it, whispering to the contents. Compelled to learn more, I stepped closer for a better view when the group facilitator turned to me and said, “She’s singing to her plant! Isn’t that amazing?” Nodding my head, things got more interesting as another classmate joined her friend and also began humming a tune. Pretty soon, children were gathering one by one and singing sweet notes to their projects with the intention that they would grow stronger and faster if encouraged with a hymn. It wasn’t that the scene was just adorable to say the least but most of all, it was inspiring as well. 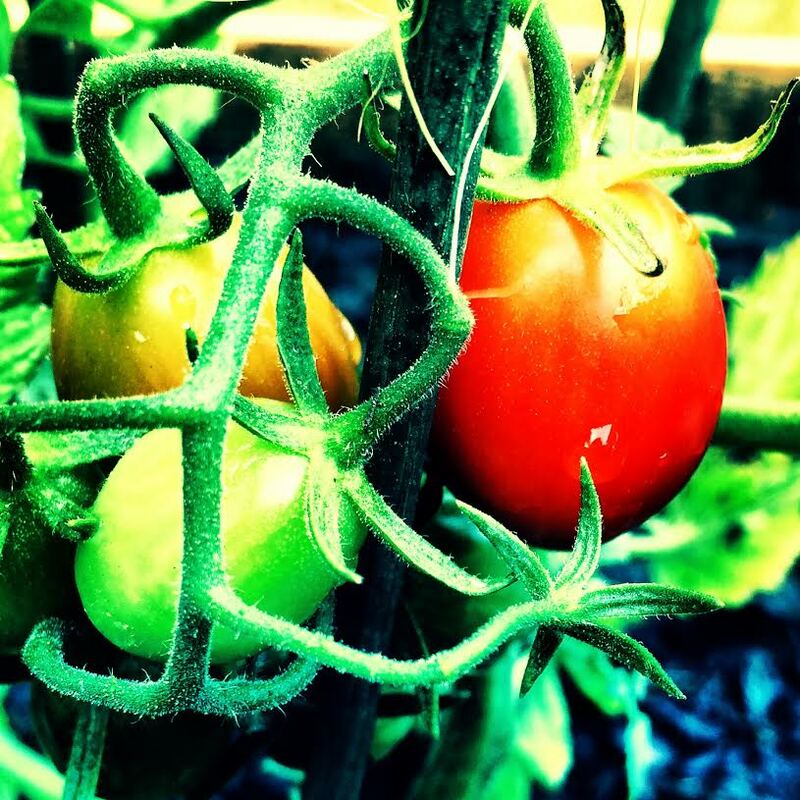 We have all heard the old wives tale about talking to our plants but what if there is actually truth to the suggestion that higher nurturing of our harvests really can be attained by human voice? Maybe these small children were on to something? If they are right, the power of music can in fact increase the viability of All living things. 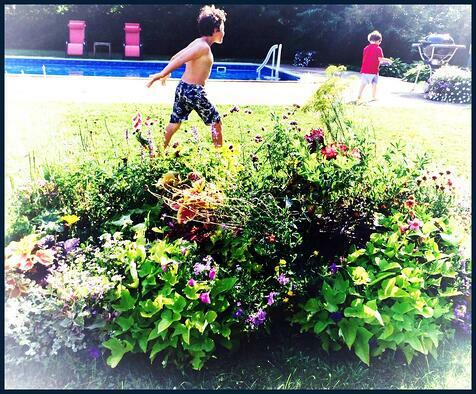 Intrigued by this unfounded hypothesis, I searched to find the best songs for our kids to sing to their gardens, not only improving the plant’s prosperity but allowing our children to connect with nature in a whole new level. I liked this one the best so give it a go and get your flowers blooming with music! The rain is very good. Looking at the calendar, I realized that Mother’s Day was soon approaching on May 10th and it was time to begin making plans for this year’s special day with mom! Customarily we sit down beforehand and plan our annual route to one of our favorite places in the world, New England greenhouses! The snow is just about gone around the yards and our flowerbeds can definitely be readied for plantings. 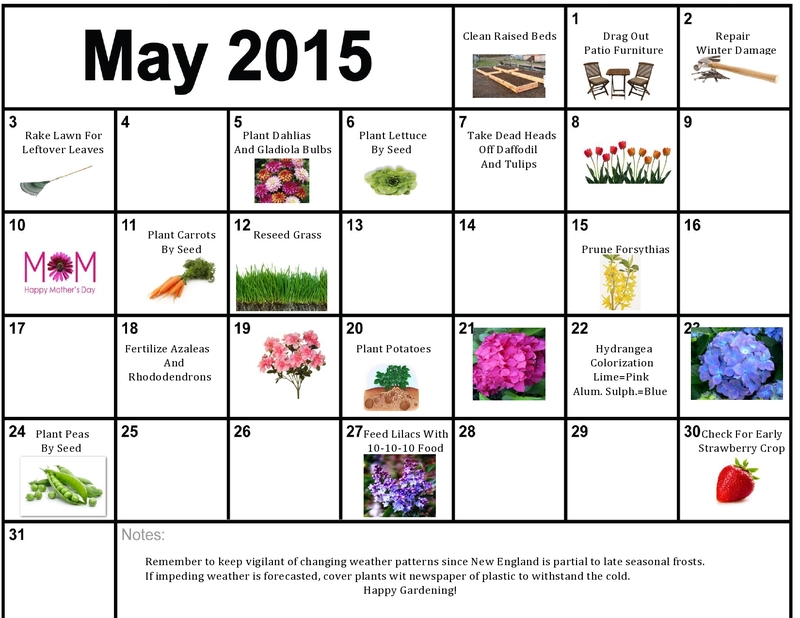 While April is the month to accomplish tasks of yard grooming, debris pick up and other landscaping chores, May is the month for the actual potting and replanting of the goodies being grown as we speak. 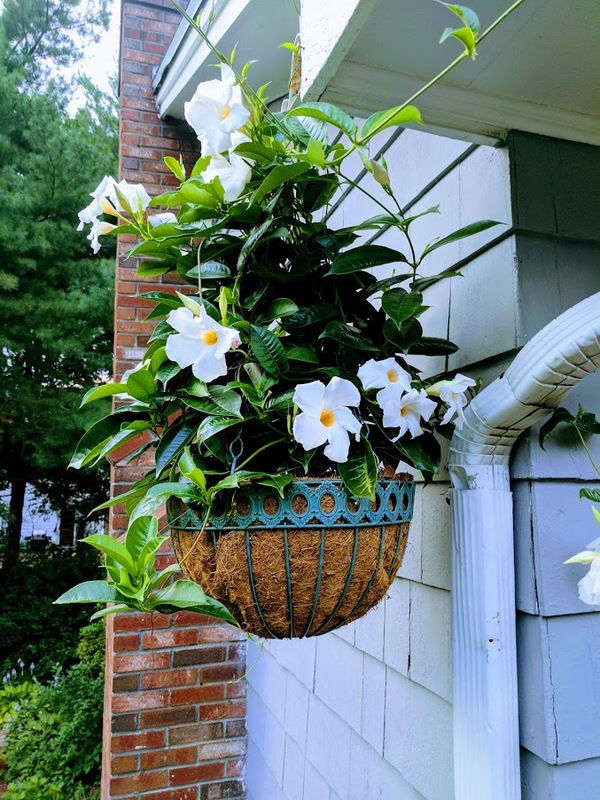 Since the middle of Mother’s Day month hosts temperate night temperatures accommodating for successful spring growing, now’s the time to get shopping. My mom and I know this green thumb standard inside and out and feel there is no other better way to celebrate Mother’s Day then picking out our first nursery beauties. Whether you decide to visit the North Shore or South Shore farms and greenhouses, I can tell you throughout the years we’ve hit most of them and have found some gems. Here are a few of our favorites that we would like to share with you this Mother’s Day! This operation has eight different locations across Massachusetts but I love the one located in Winchester, MA the most. 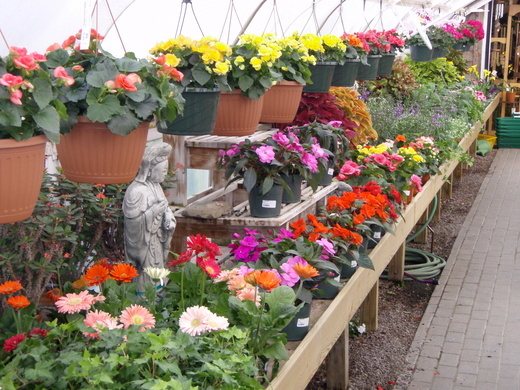 This family owned business covers everything including orchids, ground covering plants, perennials, annuals, tropical trees, ceramic pieces, patio furniture, vase ware and soil needs so it’s a real one stop shopping experience. Other perks include ample parking, a rewards program and their own farm store with homegrown fruits, veggies and fresh baked goods. 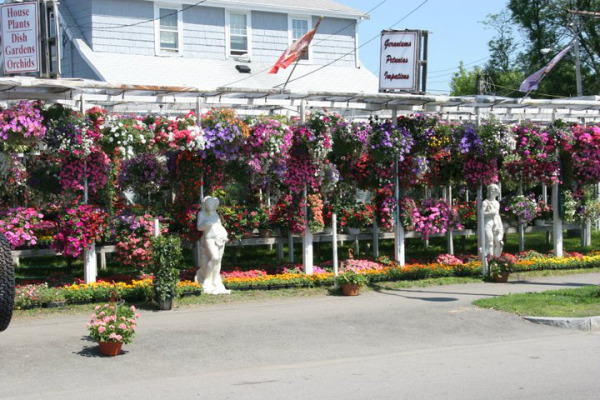 This was my flower haunt when I briefly lived in Scituate, MA that I really enjoyed. What was great about this place was the assortment of product they had in a manageable area that allowed easy browsing and buying logistics. 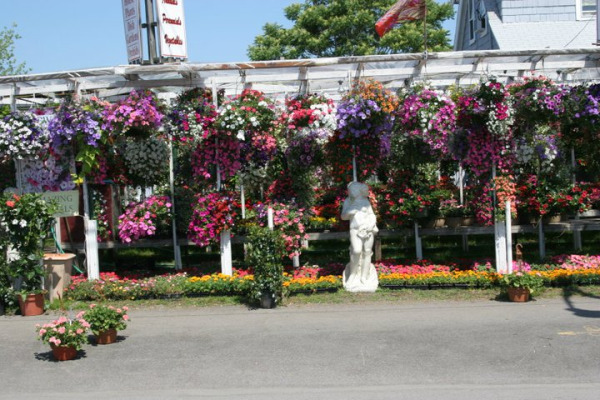 They have a fabulous assortment of rose bushes as well as an adorable parrot located in their greenhouse who also greets customers as they enter and exit. If you bring the kids, don’t forget to visit the Koi Pond where they can feed the fishes and enjoy the pretty view! I’m looking at the thermostat hanging on the deck and can’t believe my eyes… It’s almost fifty degrees out in Boson and the sun is shining! The change in weather is calling me to begin organizing my garden tools in the shed and plan my list for what I’ll need at the garden center. Rakes, trowels, mulch and other odds and ends will have to be bought but this year due to all of the snow, I’m going to need to replace a few things in the yard. One fixture that will be at the top of my spring chores is rebuilding the several raised beds that unfortunately couldn’t take the severe winter that just passed. 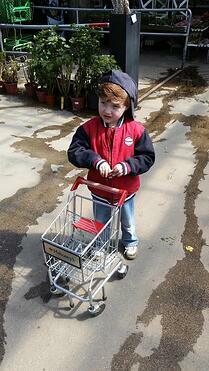 Pre-made box gardens can be extremely expensive and can range in cost anywhere from fifty to several hundred dollars. For me, it’s just not worth the expense so I prefer to pick up a hammer and nail and create them myself. Without becoming anxious about the task, I’ll make sure that I design an accurate blueprint of what supplies will be needed and a clear list of steps for construction so I’m not wasting precious time that I could be spending elsewhere. If you’re like me, you might be in the same predicament but don’t worry. It doesn’t matter if you’ve never been a do-it-yourself kind of a person because there is an easy and affordable method that I’ve found. See if this works for you, too and soon you’ll be planting and weeding before you know it! Visit a trusted home improvement store in your area and grab a cart to make selection and transportation of the materials simpler. 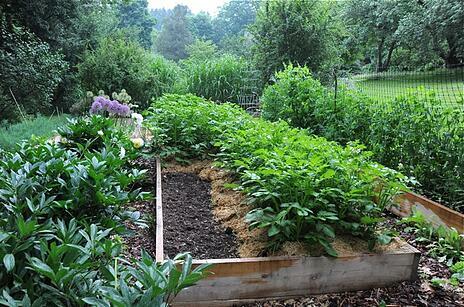 To make one raised bed, find the lumber department and browse the different varieties of wood that are in stock. Depending on your green thumb’s tenacity, pick a length that will suit your needs. My previous boxes measured at eight feet long, which provided ample space for a large variety of flowers and vegetables. The height of the lumber reached six inches that might seem too short but worked well once the soil was added. The width of the wood was cut much shorter than the length, which was half in size at four feet. The rectangular shape was perfect and enabled me to make a pretty pattern with three other boxes erected in a square allowing me to set up a table and chair in the center. Now I bet your asking what type of wood should you buy? Well, there are a lot of options including cedar, oak, pine and reclaimed wood. Keep in mind that the price will fluctuate with the variety you choose so be sure to ask a salesperson what the total will be before you bring them to the register. Once you’ve bought your wood, take the pieces home and arrange them in the size and shape that you would like the beds to be in. Then take a four-inch nail and attach the corners of the sides in a ninety-degree angle. You will need two nails per corner, one for the top and one for the bottom. Once they have been constructed, place in the location that you want them to be displayed. After they have been filled with soil, you wont be able to move them so choose wisely. 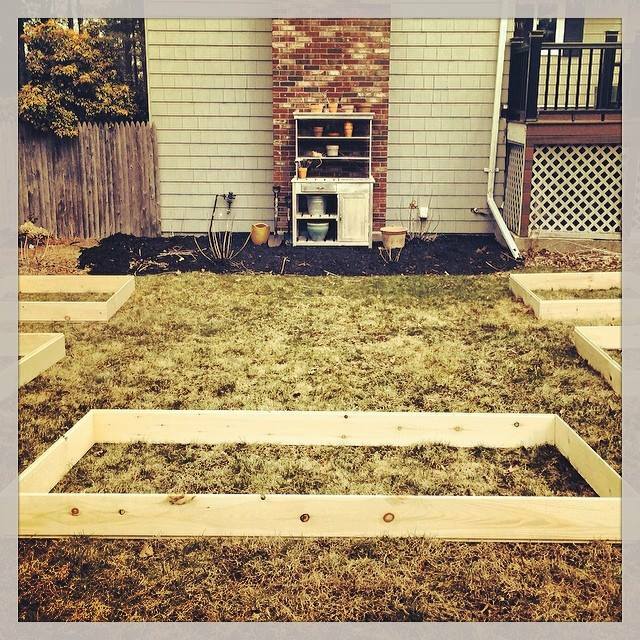 The last step is to fill them with an earth friendly soil mix and begin planting!